A graph that presents linked information about the subject… in this case “Theoretical physics“, “Brownian Motion“, “General Relativity“, “photoelectric Effect” and others.When you click one of “Key Facts” on the subject with links to further information appear in a box on the right hand side. There is a journal which allows you to make notes that can be shared with others and will build up a further resource for the site in the future. There is a place to record sites visited and also to share these with others who are researching the same subject as you. As if this wasn’t enough there are suggested websites, videos, images, a multiple choice type quiz to aid in the memorisation of the facts and a section that lists concepts that can be clicked. In a very short space I learnt the basic facts about Einstein’s biography. Of his rise to fame as a scientist. I learnt that he had won the Nobel Prize in 1921 for his work on the Photoelectric Effect and that his theory of Relativity was very controversial at the time that he put it forward. I found a reference to a video entitled: “Einstein’s Theory of Relativity Made Easy”. The video certainly lived up to it’s billing and was a good way for a layman such as myself to appreciate what all the fuss about Relativity was about. All in all I learnt a lot about Einstein very quickly, I was able to use a multimedia approach to get information and I could have added what I learnt to a journal if I had wanted and could have shared this with others. I think that Instagrok is a brilliant idea and one that I can thoroughly recommend to others. Has anyone come upon a better educational search engine? If so.. please let me know. This entry was posted in Uncategorized and tagged Albert Einstein. Bookmark the permalink. InstaGrok is an interesting tool, with a lot of potential. However, we believe that SweetSearch remains the best educational search engine. What you describe above is essentially a tool that carves up the Wikipedia entry for Einstein into little pieces, and supplements it with a YouTube video. 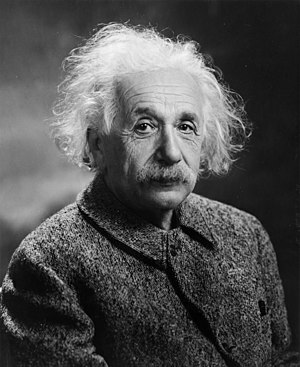 On the other hand, search Einstein on SweetSearch (http://www.sweetsearch.com/search?q=einstein) and you get entries about him from the Nobel Prize site, The NY Times Topics page, PBS Nova, Museum of Natural History, NY Public Library, the Library of Congress, and a letter he wrote to FDR in 1939 about nuclear weapons. I’d prefer students review the latter than the former. Hi Mark, many thanks for taking the time and trouble to read my post. You have a point about the content of Instagrok as against the Sweetsearch that you have provided a link to in your comment. I followed the link and found the references excellent. I agree with you that Instagrok has potential and would like to see both sites used in the future for students to research subjects. As you say, it will be up to them as to which site provides the better links. At the moment I would say that Sweetsearch has a greater depth of links. I certainly found the references to different aspects of Einstein’s life to be useful to any researcher trying to understand his life and work.